Michelle Shevin-Coetzee is a 2018-2019 Fulbright Schuman Fellow. She is researching the impact of Brexit on European defence policy while based at Chatham House in London and the German Council on Foreign Relations (DGAP) in Berlin. EAP: is there a shared assessment of the external threats in Europe among the Member States? If so what are those threats? If not, what are the divisive issues? Among EU member states, I think there is an impetus to move toward a shared assessment of external threats facing Europe, but that one does not currently exist. The EU is oftendescribed as one actor – and to be fair, sometimes it can act in this way, as we see with the EU 27 remaining largely unified during the Brexit negotiations thus far – but it is important to remember that there are currently 28 different opinions based on national geography and history. Italy, for example, is particularly interested in tackling the root causes of migrationfrom the Middle East and North Africa, whereas Estonia is focused on addressing conventional and hybrid threats from Russia. I do not think these unique outlooks on emerging threats are themselves negative, but without significant internal debate they do have the potential to constrain the EU’s capacity to act. I think what would be concerning islosing the crucial convening space that organizations like the EU (and NATO) provide in allowing countries to share these different perspectives and, most importantly, find areas of commonality. Despite the important work that both institutions do in fostering a shared assessment, this is something that Europe as a whole will continue to develop over time, itself an aim of the French-devised European Intervention Initiative. EAP: How the Brexit will affect the already ailing Europe of Defence? Although the primary discussions surrounding Brexit relate to economic, and sometimes security, interests, I think Brexit will have an important impact on defence, which will have both positive and negative aspects. On the one hand, Brexit appears to be galvanizing support within the EU to pursue a range of new initiatives, including the Coordinated Annual Review on Defence, European Defence Fund, and Permanent Structured Cooperation. I think it is important for the EU to make greater contributions in defence, though Brexit is not the sole driver of this; both the increasingly challenging security environment and US President Donald Trump’s seeming ambivalence toward European defence are contributing as well. On the other hand, Brexit could prompt a divergence in terms of European thinking on defence. The UK will no longer be “in the room” after it leaves the EU, losing its veto, say in planning, and ability to shape discussions on defence at the EU level. Likewise, the EU will lose one of the only two significant military powers from within its membership. Yes, the UK is a NATO ally and maintains a network of bilateral relationships that will likely take on even greater importance post-Brexit. However, I think the UK and EU (and its member states) should be mindful of negative sentiment from contentious negotiations spilling over into these other formats.The disagreement over Galileo is one tangible example and will likely not be the last where the UK and EU find each other on opposite sides of an argument. It is crucial for the UK and EU to insulate the defence (and security) discussions, as well as find new ways of engaging each other. EAP: Should you be appointed in the next EU Commission what would be your first action in the field of defence and security? Regardless of the makeup of the new Commission, I think the EU and its member states should focus on tangible investments in defence, rather than ideological (and arguably long-term) ambitions. Two concepts are particularly prominent in the latter discussion right now: “strategic autonomy” and an “EU Army.” Yet neither commands a consensus for how to be achieved, let alone whether to be achieved. “European” and “EU” strategic autonomy are used interchangeably, with fewer considerations placed on the implications of using one phrase or the other. I think the role that the UK and current third countries, like Norway, play in European defence is crucial in these debates. 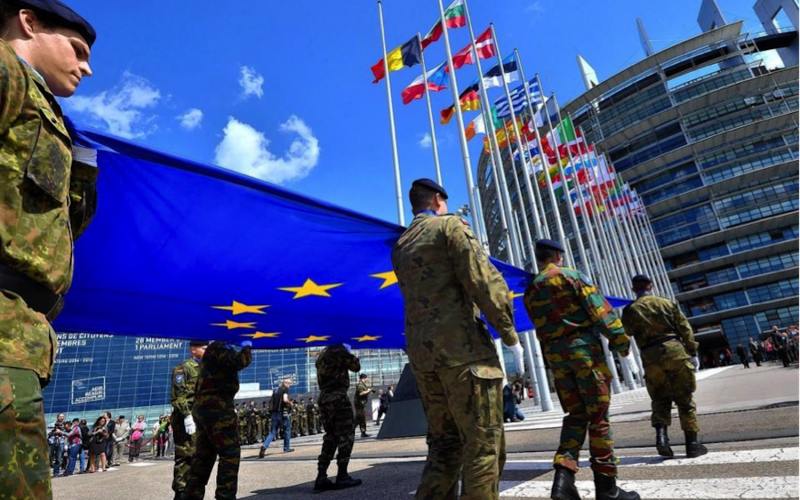 Likewise, unless circumstances change dramatically, there is no prospect of member states ceding control of their military forces, which serves as the central critique of the EU Army’s detractors. Instead, the EU Commission should focus on developing the European Defence Fund and implementing PESCO projects. The Military Mobility initiative seems particularly useful, benefiting both the EU and NATO and serving as an opportunity for the two institutions to strengthen cooperation further.